Button Shy is a micro-publisher dealing exclusively in micro-games. All of their games are small enough to fit in a wallet. 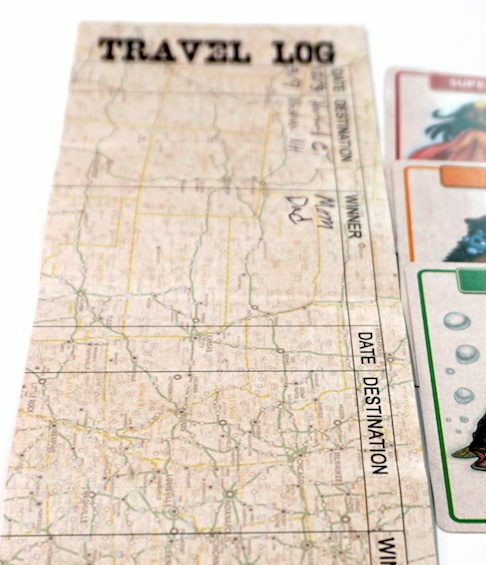 Although some of these games are quite involved despite the small number of cards, we’ll be looking at two of their lightest games: a travel game and a fast deduction party game. As a child, I loved road trips, mostly because they gave me lots of time to read and do puzzles. Unfortunately, now that I am an adult, I get motion-sick, so I have to find ways to pass the time on the road that don’t involve (much) looking down. It’s especially nice to find ways to involve the kids (and the driver) rather than everyone doing their own thing. 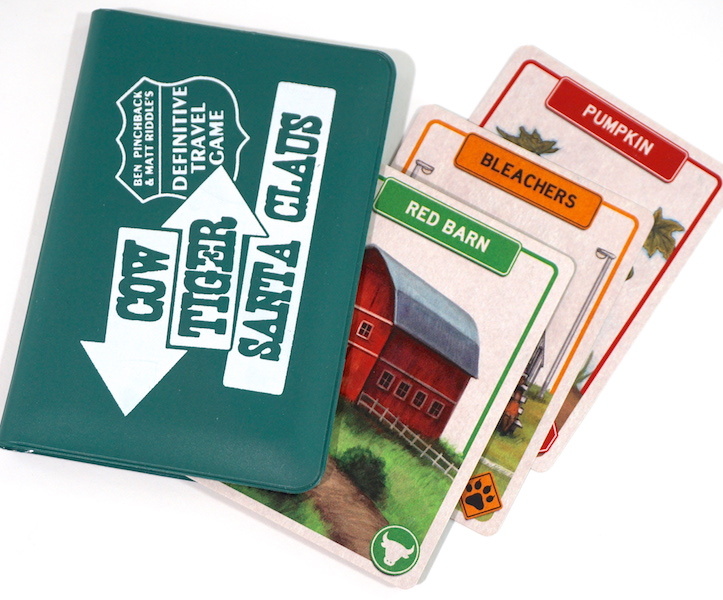 Cow, Tiger, Santa Claus is a travel game (“the definitive travel game”), designed by Ben Pinchback and Matt Riddle specifically for road trips. One person chooses a random card from each of three groups: easy, medium, and hard. After examining the cards, they announce them to the rest of the players. The first player to spot all three items out the window, wins. What about the name? Cow is an easy find, Tiger is medium difficulty, and Santa Claus is hard (except in December). The first time we played Cow, Tiger, Santa Claus, the kids got tired of it quickly. Who wants to look for a red barn or a port-a-potty when you could be reading a book or playing a handheld video game? But as we’ve played it more, we’ve found that it’s just right for a medium-length trip (more than 30 minutes but less than 2 hours). Even the driver can play, and it feels rewarding to finally find that item you’ve been looking for. With only 15 cards, it’s easy for us to keep this tiny game in the glove box and pull it out any time we’re getting bored on the road. The Family Gamers give Cow, Tiger, Santa Claus a 6/10. There’s not a whole lot of game here, but it’s a good way to keep you looking out the window while you’re passing time in the car. Buy Cow, Tiger, Santa Claus exclusively at Button Shy’s website. Never go in against Chris Anderson when death is on the line! In Vino Morte is an extremely simple deduction game for 3-9 players. 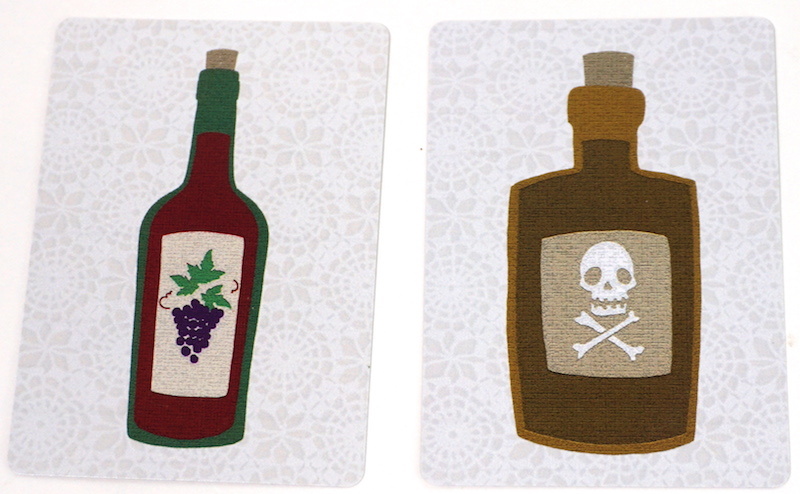 The cards for In Vino Morte (Latin meaning: “In Wine, Death”) are marked with a glass of wine on one side. The other side pictures either a bottle of wine or a bottle of poison. The dealer is pouring the wine: they give each player a card, cup-side showing. Then each player is faced with a deceptively simple choice: drink the cup (flip over the card), or swap it with another player’s cup (an unflipped card). Once everyone other than the dealer has made a choice, the remaining cups are drunk. All players who have poison are eliminated, and a new dealer is chosen for the next round. 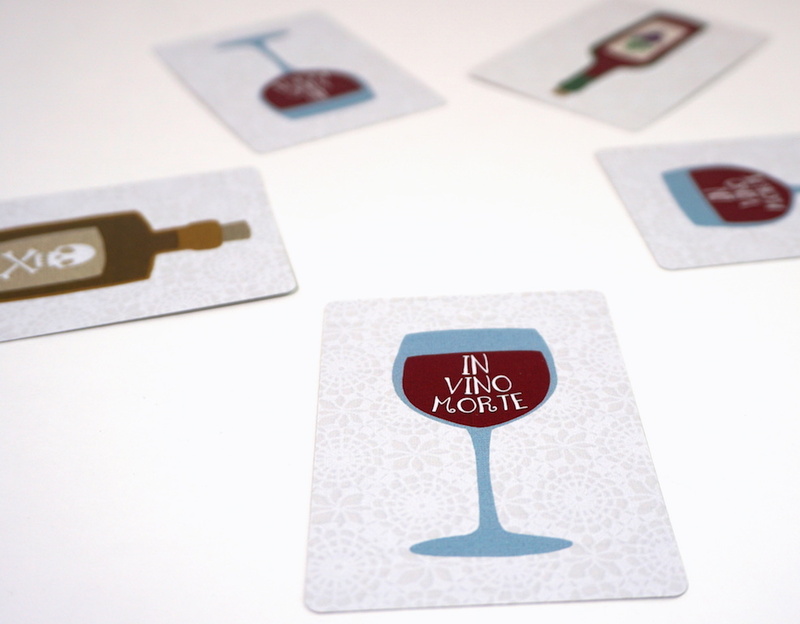 In Vino Morte is a deduction game that strips out any extraneous information. Everyone must simply guess the intentions of the dealer. “I clearly cannot choose the wine in front of me…” Players can bluff, trash-talk, or reason out loud as much as they want. But eventually, they must choose, and find out who is right, and who is dead. The Family Gamers give In Vino Morte a 7/10. A simple party game, but best for a few short rounds between other games. Buy In Vino Morte exclusively at Button Shy’s website. 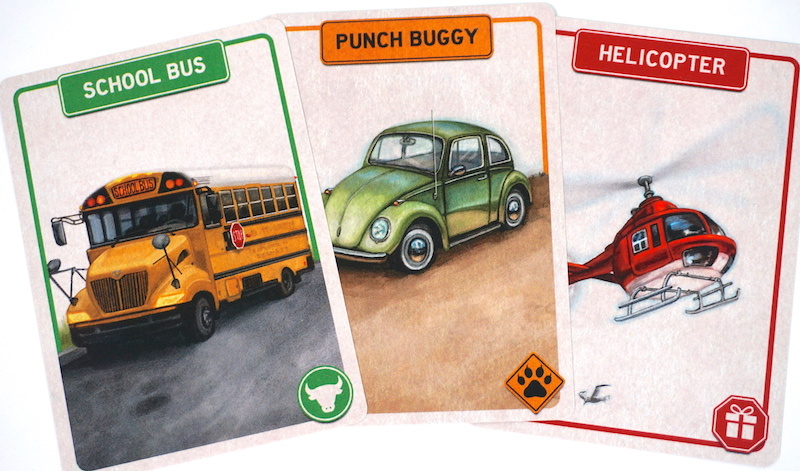 Button Shy provided a review copy of Cow, Tiger, Santa Claus to The Family Gamers.